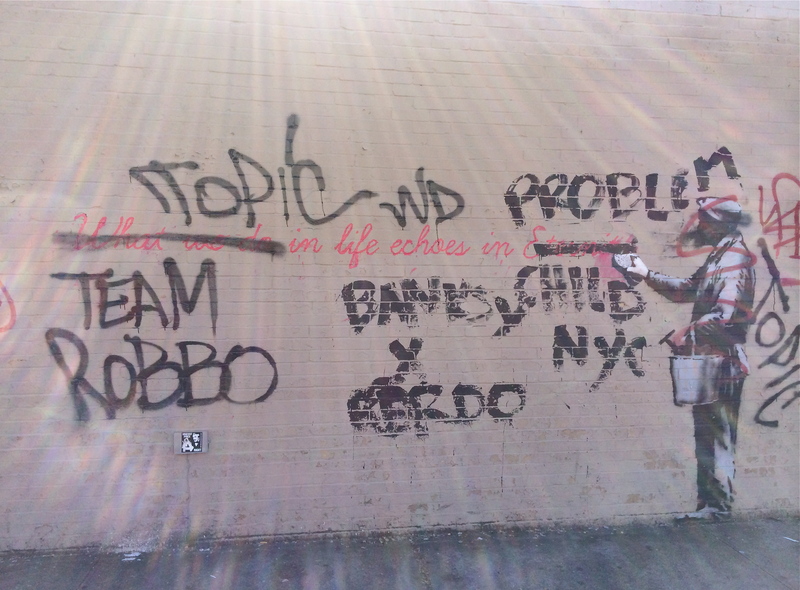 Graffiti Art by Banksy in Queens, NY during his “Better Out Than In” project. 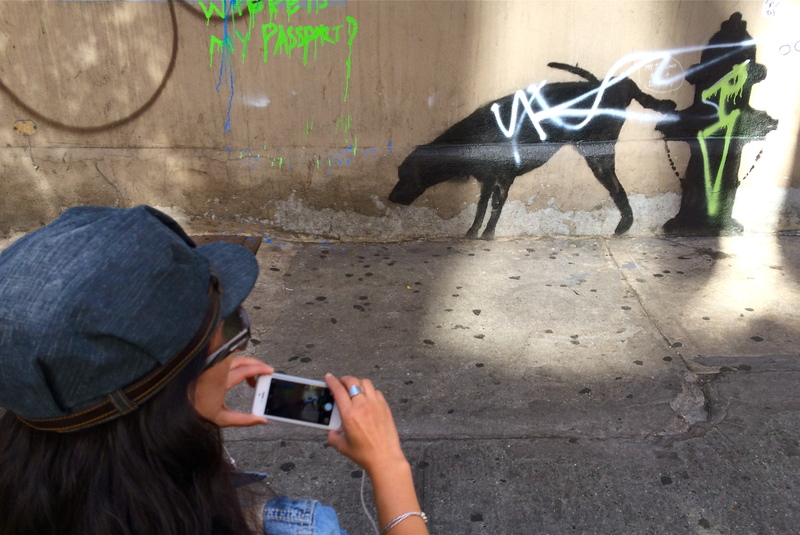 A woman takes a photo of graffiti art by Banksy in New York City. 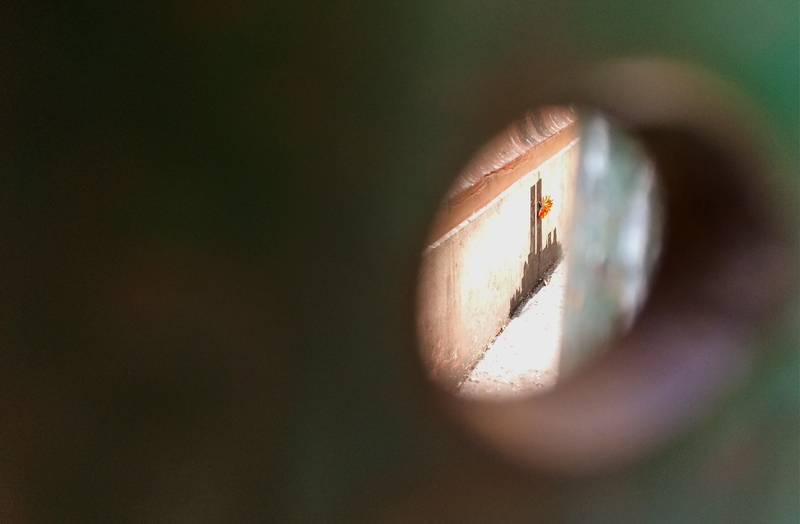 Banksy is in New York for a month producing the “Better Out Than In” project. 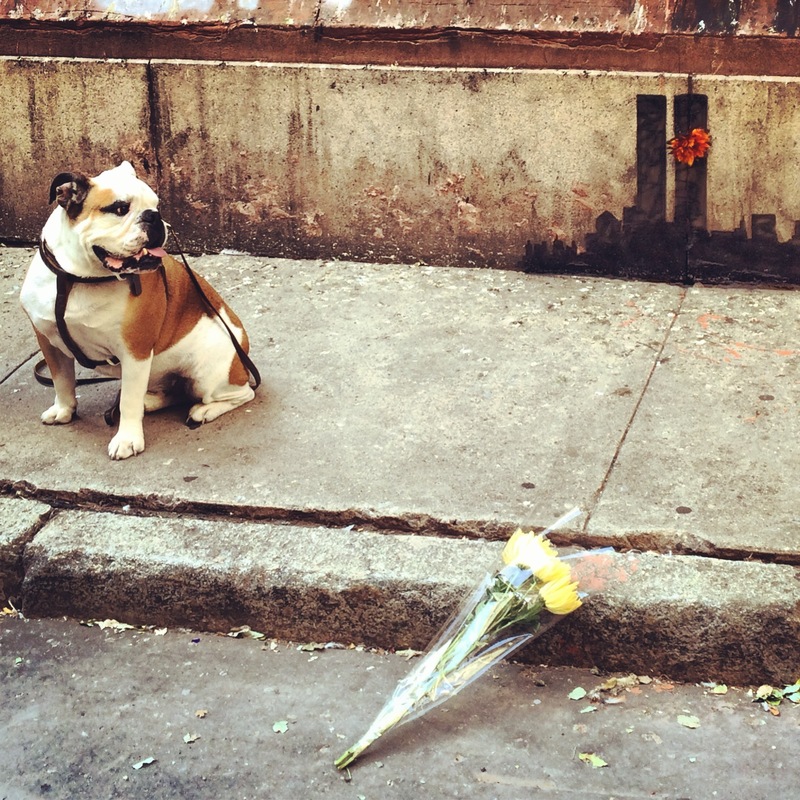 Casey the Bulldog poses for pictures next to the newest edition of graffiti art by Banksy on Jay Street in TriBeCa. 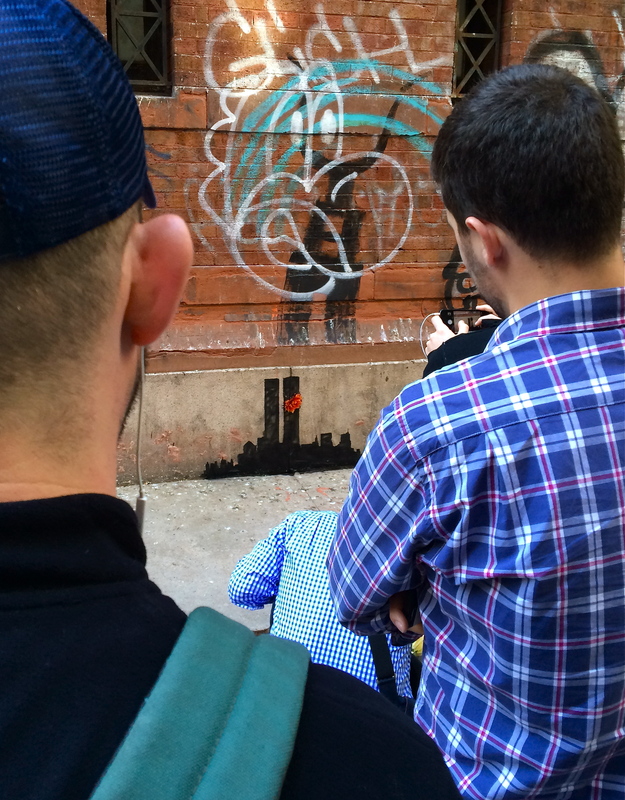 The Twin Towers with a flower is one of the newest pieces of art by Banksy in NYC. 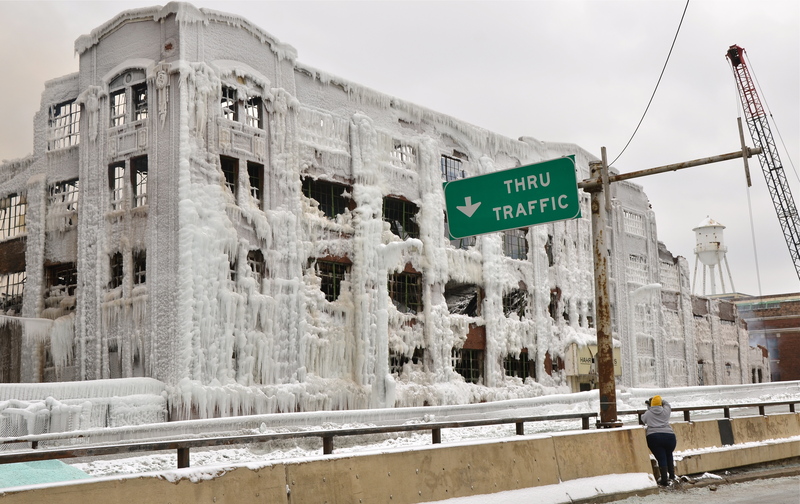 Crowds gather on Jay Street to see the latest art piece by well known graffiti artist Banksy. 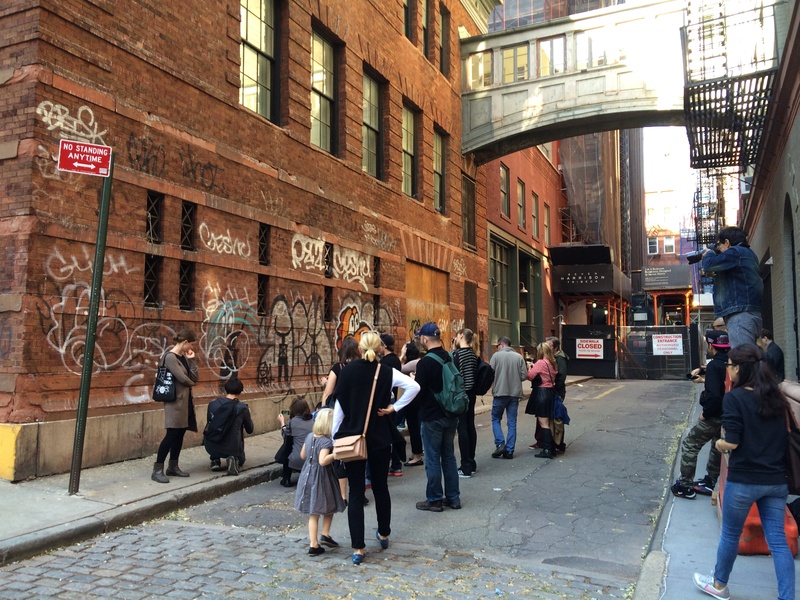 Crowds gather around the newest piece of art by well known graffiti artist Banksy on Jay Street in TriBeCa. 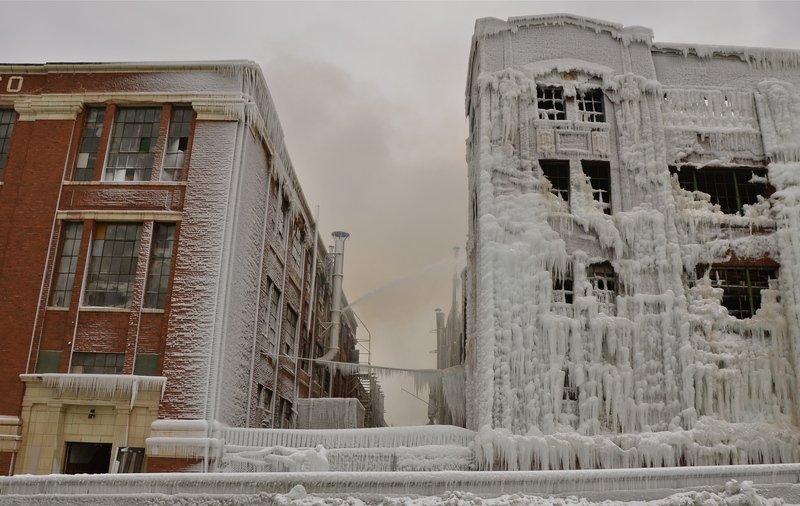 “Crazy Horse” was being removed as it had been sold to an art collector. 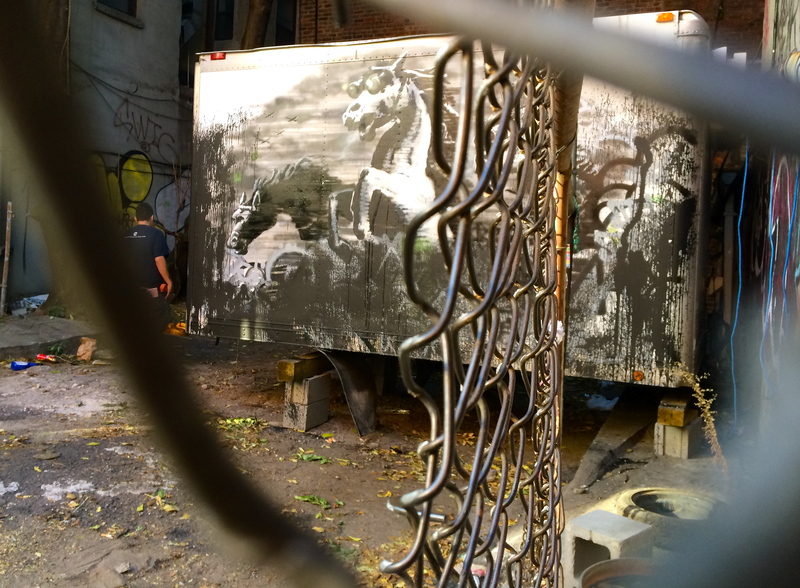 A panorama of the scene before movers had come to collect one of Banksy pieces of art on Stanton Street in Lower Manhattan. 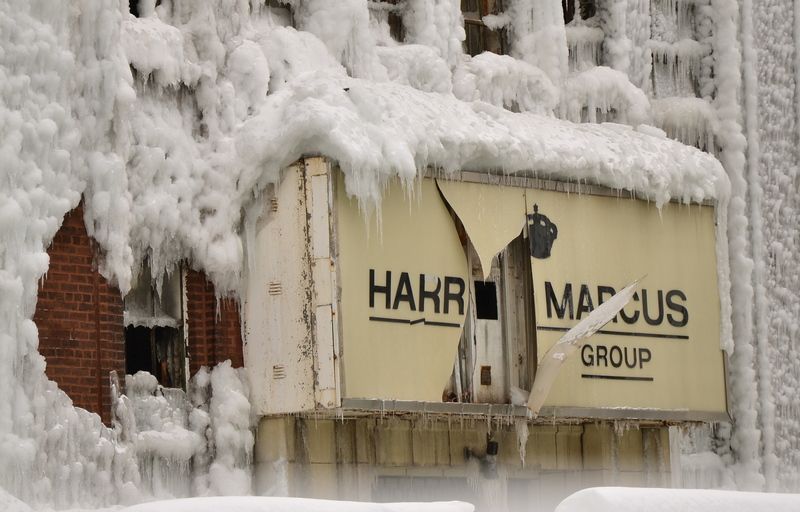 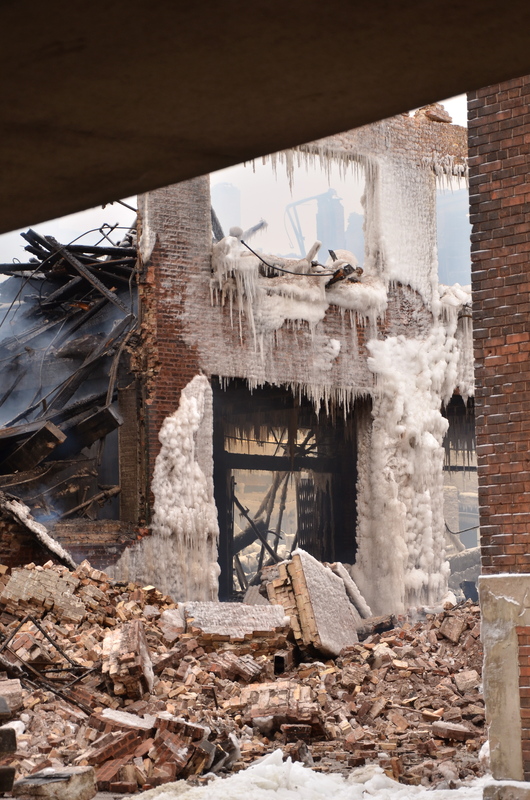 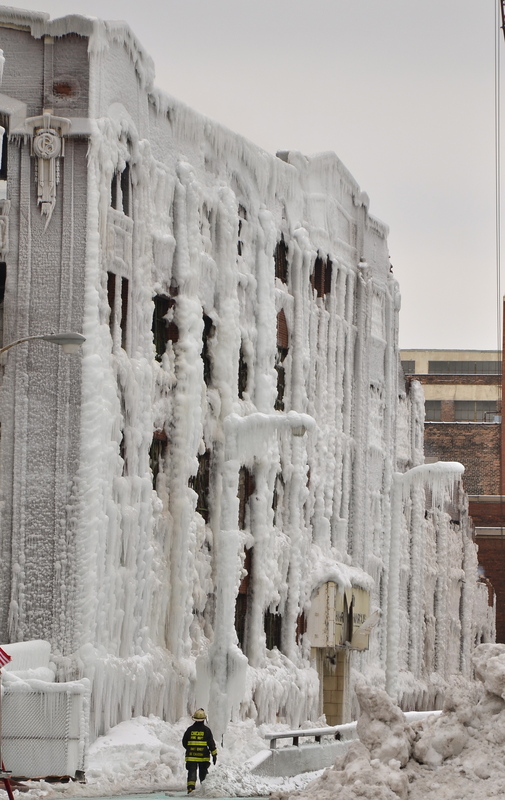 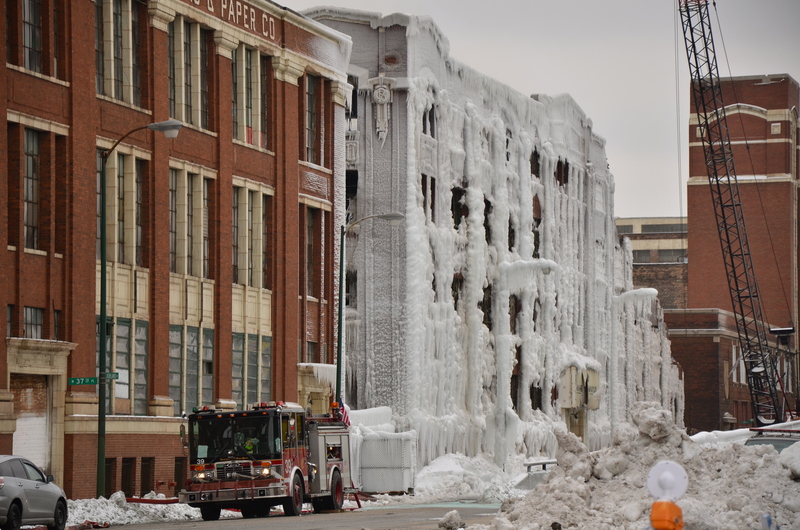 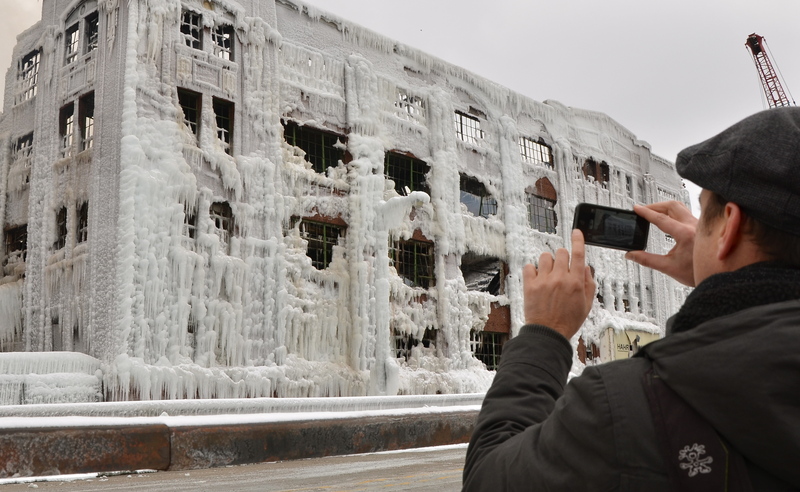 Abandoned warehouse on the south side of Chicago was frozen over after a fire broke out on Tuesday.